Our third instalment of ‘life on the water’ features takes a look at the expert design process that - very literally - becomes the backbone of a Spirit Yacht. From hand drawings, to computer-aided design, the style and elegance of these yachts relies on the knowledge and talent of a small, expert team of naval architects and marine engineers. 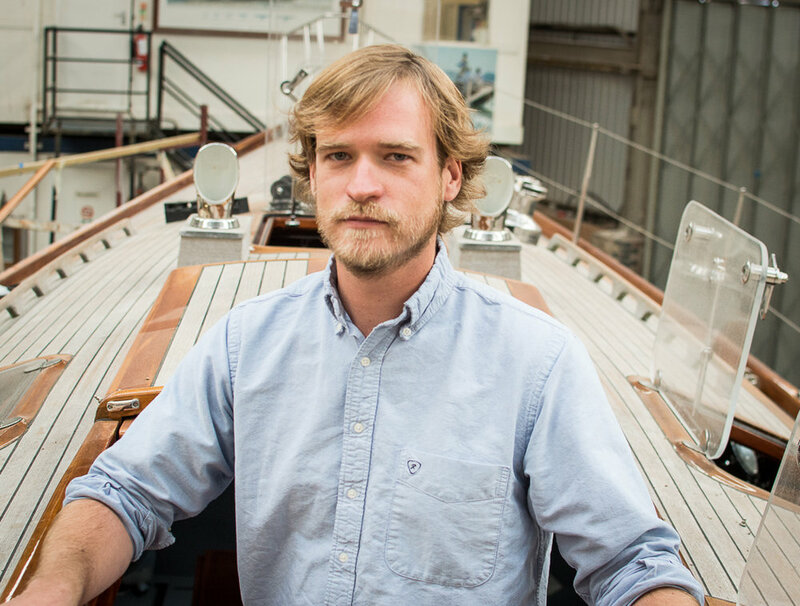 Lawrence Peckham graduated from University College London with a degree in naval architecture and joined Spirit Yachts eleven years ago, to work alongside CEO Sean and MD Nigel to see through the design process of every single yacht built in the yard, along with Tom and Miriam in the design team. The intricate design timeline begins with a hand-drawing, evolved from Sean’s initial conversation with the client. Lawrence takes this scanned image and from it, he and Sean create a digitised version using AutoCAD, including a 3D version of the hull. The yacht is then designed from the inside out; starting with the interior, before moving on to the structure. Everything is measured to the millimetre to ensure perfect accuracy prior to building; these calculations are then confirmed by a second person; a step imperative to ensure the boat is built to the highest standards of performance. Once the interior and structure have been determined, the hull is then reassessed; something Lawrence describes as ‘spiral design’: a process that ensures the hull is designed with the correct weight-bearing load to safely carry the other design elements. This process can be done around 20 times before the design is finalised. The initial design process usually takes several months. Lawrence has been known to complete an initial yacht design within one month, but the length of time drastically varies depending on the size of the yacht, the client’s desired interior, and any changes to the performance of the boat. A powerboat, however, usually takes around one year to design, and one of Spirit’s largest builds to date (the Spirit 111) took a similar length of time before reaching build stage. Lawrence is currently working on six yachts which, although higher than average based on boats in the yard alone, he says feels like a lot more due to the size of the yachts currently being built. One thing is certain – this level of productivity necessitates the skill and experience that Lawrence has in abundance.